Did you know that colors can have different meanings to them and give a hint to a character’s personality? Color Psychology is a really fun thing to research. This Link has a simple outline for favorite colors and personalities. If you have some cool links about color psychology, share! 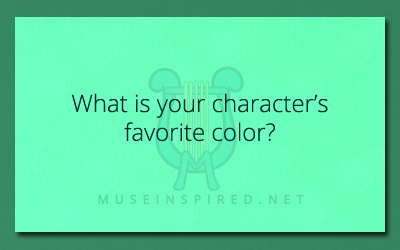 So, what IS your character’s favorite color?